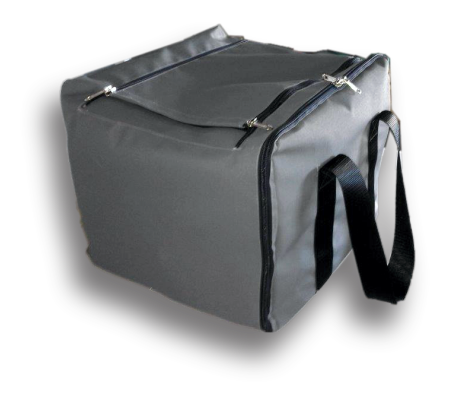 An ideal bag for use either on its own or in conjunction with other luggage. 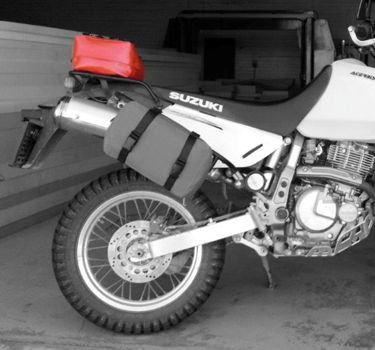 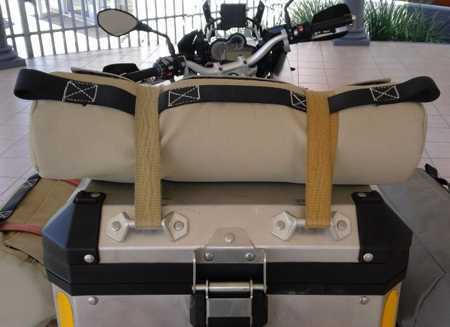 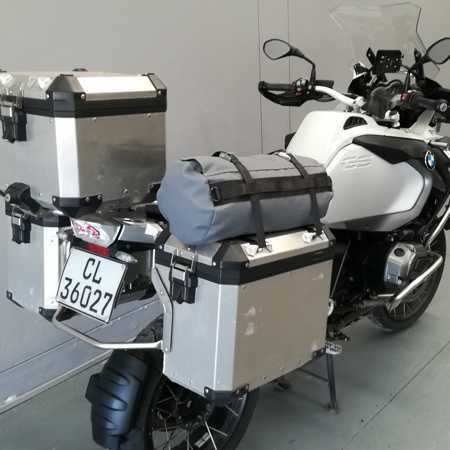 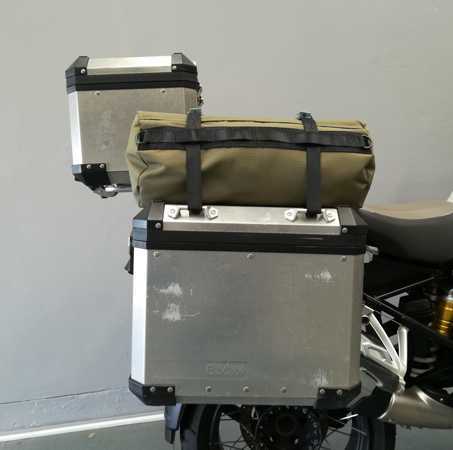 Compact enough to fasten either across the saddle or luggage rack or length-ways on the bike. 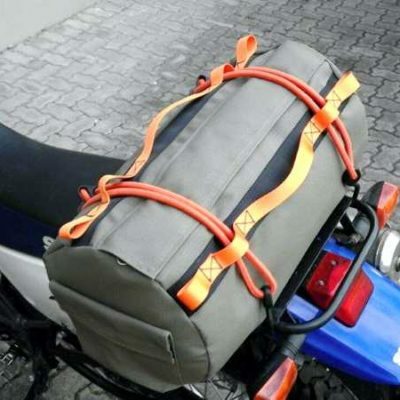 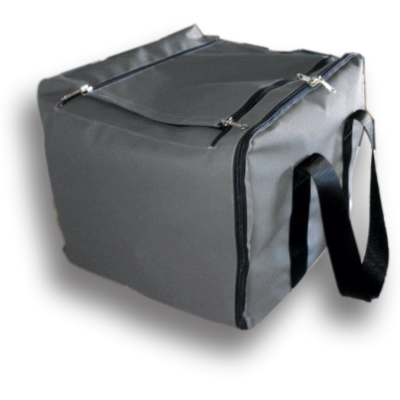 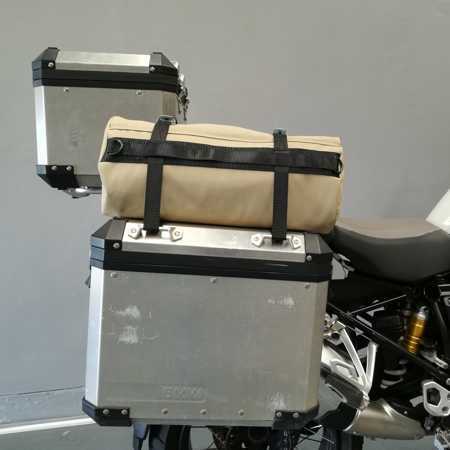 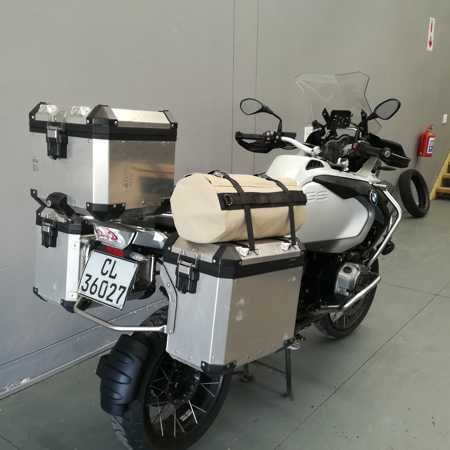 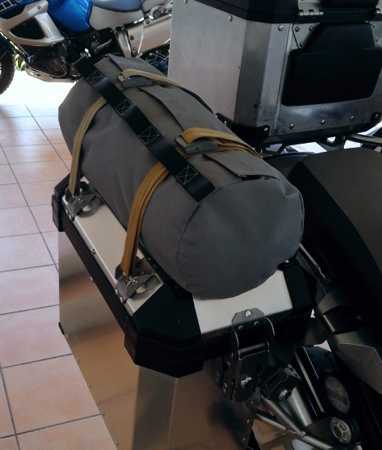 This bag is perfect also to mount on-top of a aluminium pannier. 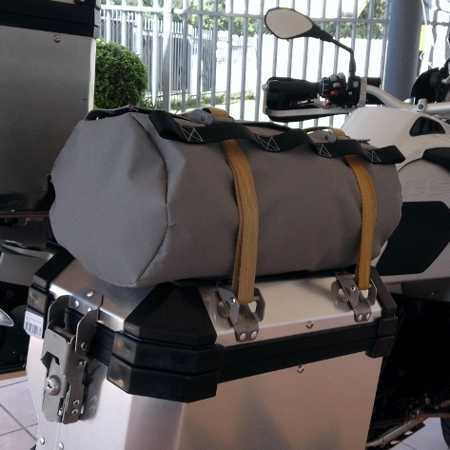 You can also use this bag as a larger tent bag than you usually get with a small tent. 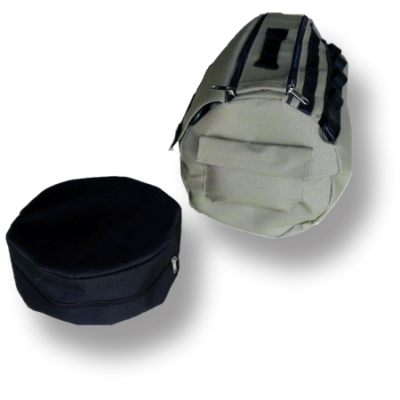 This bag doesn’t have a webbing handle but is small enough to easily carry.